This section discusses some of the various internal forcing mechanisms operating over time scales of 1 year to 108 years. They may be either radiative or non-radiative forcing mechanisms. Orogeny is the name given to the tectonic process of mountain building and continental uplift. Such mechanisms operate only over tens or even hundreds of millions of years. The Earth’s outer surface, a layer known as the lithosphere (made up of the crust and upper section of the mantle), is broken up into about 12 different plates which are constantly adjusting their positions relative to each other. Such movements are driven by the internal convective dynamics within the Earth’s mantle. When plates collide, one may either be subducted beneath another, or both are pushed continually together, forcing upwards any continental land masses, to form long mountain ranges. The Himalayas formed when the Indian plate crashed into Asia about 20 to 30 million years ago. 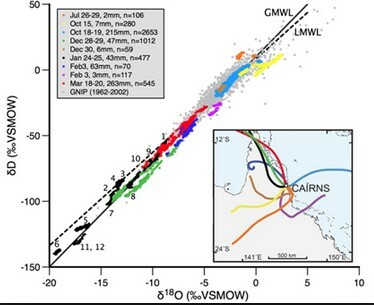 There is now little doubt that the presence of mountain ranges on the Earth can dramatically influence global climate, and that orogenic uplift can act as a non-radiative (internal) forcing mechanism. North-south orientated mountain ranges in particular have the ability to influence global atmospheric circulation patterns, which usually maintain a more east-west trend on account of the Coriolis Force (Figure 1.6, section 1.2.5). Ruddiman & Kutzbach (1991) have proposed that the uplift of the Tibetan Plateau, the Himalayas and the Sierra Nevada in the American south-west may have induced a global cooling during the last 40 million years (see section 5.2.2.3). Raymo & Ruddiman (1992) also suggest that increased uplift of these regions exposed more rock, thereby increasing the rate of physical and chemical weathering. During chemical weathering, carbon dioxide is extracted from the atmosphere to react with the decomposing rock minerals to form bicarbonates. These bicarbonates are soluble and can be transported via rivers and other fluvial channels, finally to be deposited on ocean floors as sediment. In essence, carbon dioxide is sequestered from the atmosphere, thereby decreasing the Earth’s natural greenhouse effect, causing further cooling. 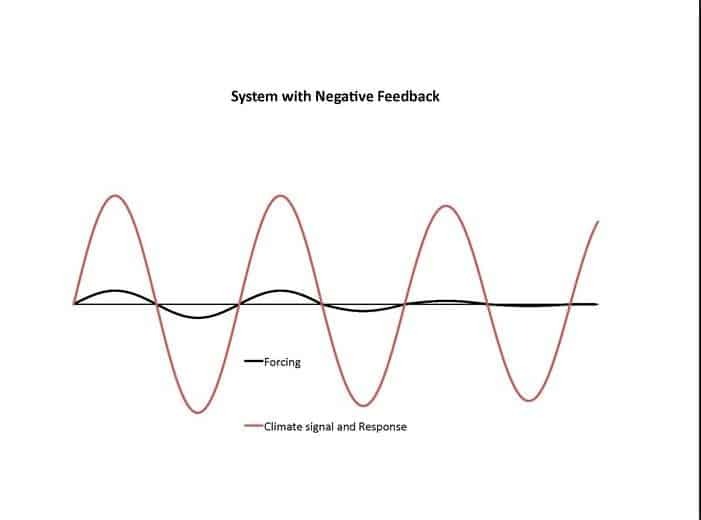 In view of this greenhouse feedback, mountain uplift seems to generate both non-radiative forcing (atmospheric circulation changes) and radiative forcing (greenhouse feedback). 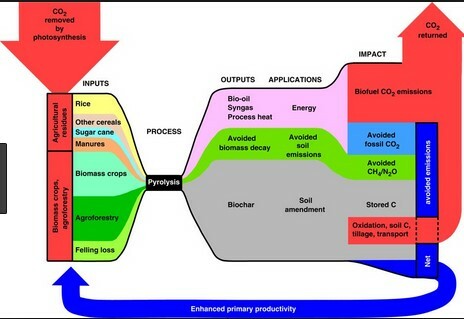 In such situations as described above, isolating a primary cause of climatic change from its secondary feedbacks, becomes ineffective. In section 2.7 the hypothesis will be investigated that climate change really results from a combination of impacts to different components (and sub-components) of the climate system, which cascade through the system. You might be interested in reading an article about the global warming effects on environment. Mountain uplift may also increase the land surface area covered by snow the year round. The subsequent increase in planetary albedo will reduce the amount of energy absorbed at the Earth’s surface, initiating further cooling (Umbgrove, 1947). This is an example of the ice-albedo feedback effect, and is explained further in section 2.7.